i& D" o; d1 ]. D& `! G- S2 d+ B0 CIN AMERICA, Pepsi Cola chose Michael Jackson to represent the new generation. 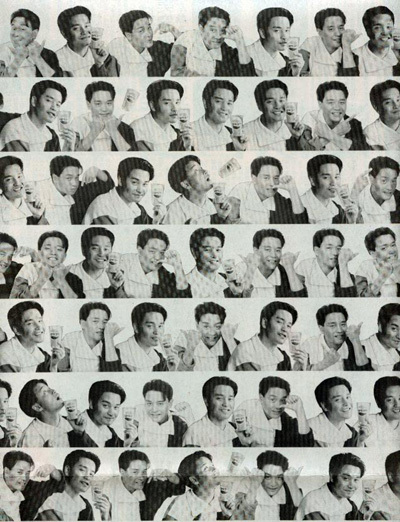 In Hong Kong it was Leslie Cheung Kwok-wing, who is now displaying his own brand of megastar fizz, with 23 sell-out pop concerts at the Coliseum. 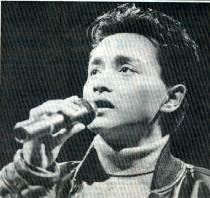 : ?1 z- e) F# F& U$ rSINGER Leslie Cheung yes&shy;terday clinched a deal for a series of commercials for radio and television that puts him alongside megastar Michael Jackson. 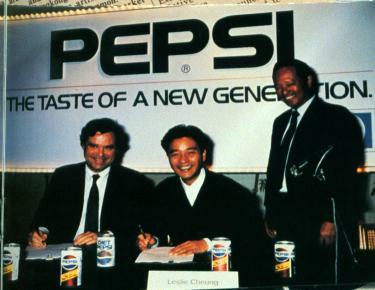 "As far as we know, this is the first time that any company in Hongkong has teamed up with both a local star and an international megastar," Mr Kendall said yesterday after Cheung signed a 12-month contract with North Asia PepsiCo In&shy;corporated.
! 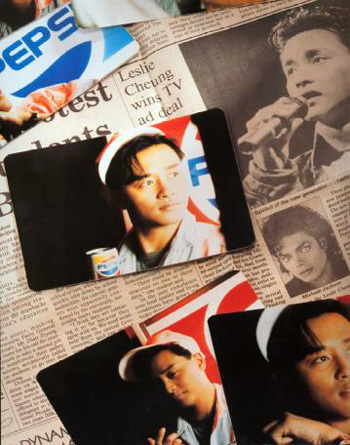 m/ i z3 v$ d6 p a1 [The new commercial featuring Leslie Cheung';s Rockia'; the Pepsi Way will be aired alternatively with a 60-second spot featuring Michael Jackson and his Grammy nominated hit. Bad, from the beginning of next month. ; D3 m( }! S& n5 r3 XThe Bad album has produced four hit singles, making Jackson the first artist to have four number one singles from the same album. 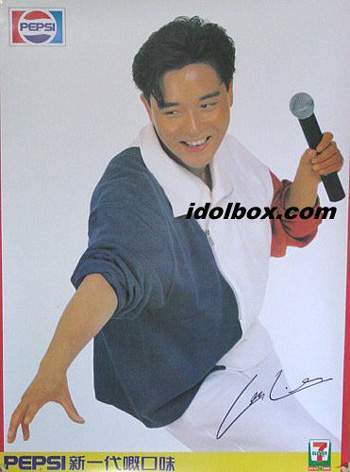 He also stars in the television advertising campaign for fast food chain Cafe de Coral. 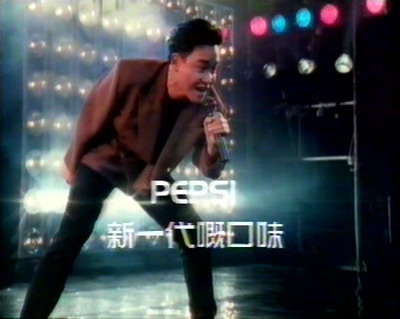 The change was made despite the fact that Pepsi';s market share in Hongkong had increased by at least 118 per cent from 1985 during the Pepsi Challenge campaign of JWT. Cheung, who the company believes represents the territory';s new generation, said he was eager to take part in the series featuring the world';s superstars.
. ~4 ~8 ^( X5 y( D* F) _After signing Michael Jackson, the company signed Lionel Richie and Menudo. In 1986 Glenn Frey of the Ea&shy;gles and Don Johnson, star of the popular TV program Miami Vice, took over. "Hongkong has become one of the most sophisticated and expanding markets in Asia. 2 u, z% Z+ ?2 R6 A9 h$ P就像思念!